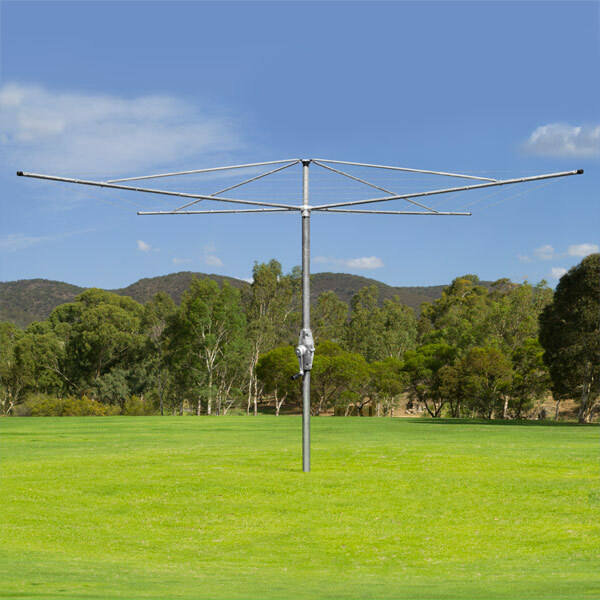 The Super 5 Rotary hoist Austral Clothesline is built to last using a metal gear case, strong galvanised steel tubing and galvanised clothes line wire as well as the handle grip and caps being heavy duty plastic. Suitable for 5-6 people. Austral manufactures a range of Super and Deluxe Galvanized Rotaries with the best traditional features. 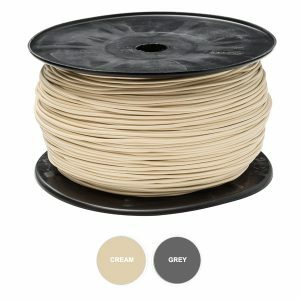 The Elite 4 is the only Powdercoated Fixed Rotary available. The range of Fixed Rotaries is perfect for situations that demand the very best in strength, reliability and low maintenance. Size: 5m diameter. Area required: 6m x 6m. Line space: The Super Clothesline has 6 lines with 50m in line space. Free site inspections are available to most areas (conditions may apply). We also offer a cost effective clothesline installation service. As a guide, most clotheslines can be installed for approximately $100 (+ GST). 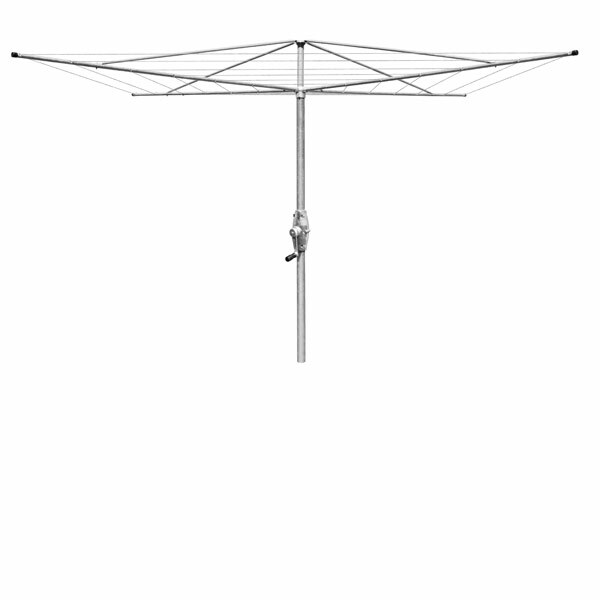 The Austral Super 5 Rotary clothesline is equivalent to the Hills Hoist Heritage 5 clothesline. 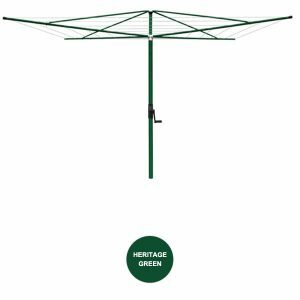 Austral Clotheslines is the only washing line and clothes hoist company continuing to manufacture products in Australia. The company offers an extensive range of clothesline models and sizes. Warehouse facilities in every mainland state of Australia, means immediate despatch of your new clothesline. Delivery : We offer free, Australia-wide delivery. Delivery times vary but typically your product should arrive within 2-3 working days. For more information about delivery times we suggest you call us direct on 0414 860 654 or via email gary@clotheslinesletterboxes.com.au. Sorry, we do not deliver outside Australia.